Updated the Published Fragments section, including adding the overlay of all examples of Kinase fragment hits from the PDB. I've updated the Bioisosteres section adding a few more examples of aryl ring bioisosteres, and I've added CypReact to the predicting metabolism page. I've made a few additions and updated to the Drug Discovery Resources pages. In particular I've updated the covalent inhibitors page and added additional examples to the molecular interactions page. I've also started updating the ADME section and added a page on half-life and how it might be modulated. I've updated the brain penetration page to include data from a recent publication, Small Molecule Kinase Inhibitors for the Treatment of Brain Cancer DOI which discusses the issues with targeting brain and central nervous system cancers. I’ve just updated the page on solubility and added a couple of useful assay references. Solubility may also have an impact on preclinical assays, limited solubility in preclinical ADMET assays may give a false impression of the compounds profile in in vitro assays. Many of the false positives seen in Fragment-based screening are thought to be due to poor solubility at the high concentrations used in the screen. Perhaps the most important is the impact poor solubility can have on gastrointestinal absorption it may also preclude other routes of administration (intravenous). The Drug Discovery Resources pages are intended to act as a resource for scientists undertaking drug discovery, they were initially based on a course I give but have been expanded to give much more detail and to cover subjects not covered in the course. The other advantage of an online resource is that I can include features not possible in static pages. You can read more about it here DOI. 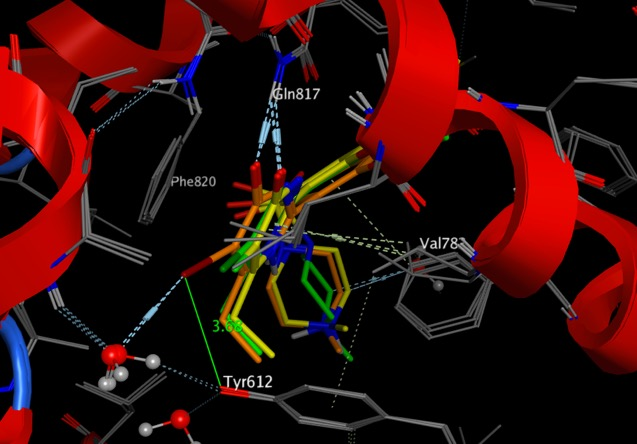 The first page to include an interactive structure is Aldehyde Oxidase, the PDB structure 4UHW is interesting because it shows the binding of both a substrate and an inhibitor binding at a site remote from the active site. I hope you find this useful and please feel free to contact me with comments and/or suggestions. I have updated the drug discovery resources on predicting sites of metabolism, I've added several new tools and web-based resources. 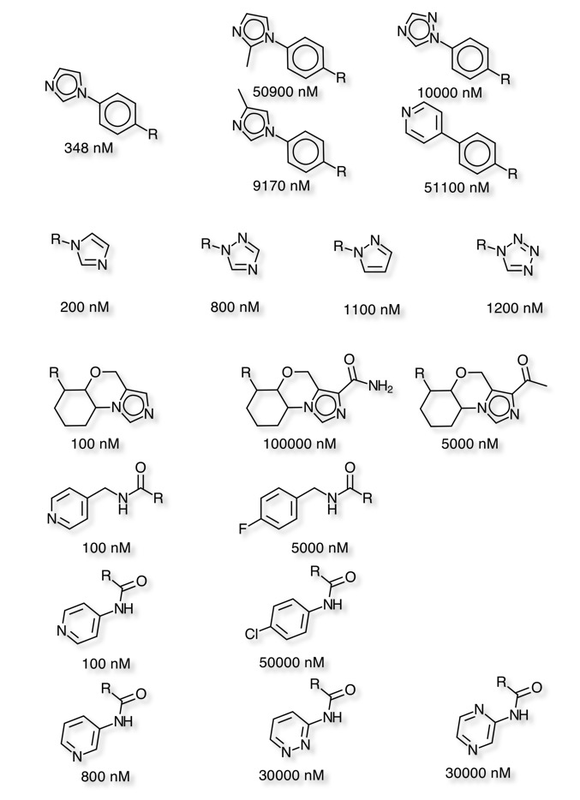 I have updated the drug discovery resources page on Aldehyde Oxidase. In particular I have included more detail on the species differences and added the recent X-ray structure of AOX1 with substrate and inhibitor bound. The company N2MO offers the use of insects as model organisms. They can be used for ADME screening in particular brain penetration studies. ABSTRACT The aim of the present study was to develop a blood-brain barrier (BBB) permeability model that is applicable in the drug discovery phase. The BBB ensures proper neural function, but it restricts many drugs from entering the brain, and this complicates the development of new drugs against central nervous system diseases. Many in vitro models have been developed to predict BBB permeability, but the permeability characteristics of the human BBB are notoriously complex and hard to predict. 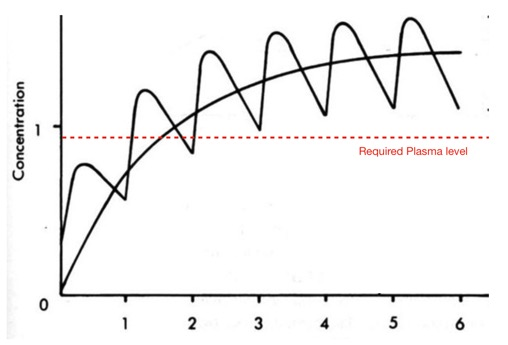 Consequently, one single suitable BBB permeability screening model, which is generally applicable in the early drug discovery phase, does not yet exist. A new refined ex vivo insect-based BBB screening model that uses an intact, viable whole brain under controlled in vitro-like exposure conditions is presented. This model uses intact brains from desert locusts, which are placed in a well containing the compound solubilized in an insect buffer. After a limited time, the brain is removed and the compound concentration in the brain is measured by conventional liquid chromatography-mass spectrometry. The data presented here include 25 known drugs, and the data show that the ex vivo insect model can be used to measure the brain uptake over the hemolymph-brain barrier of drugs and that the brain uptake shows linear correlation with in situ perfusion data obtainedinvertebrates.Moreover,this study shows that the insect ex vivo model is able to identify P-glycoprotein (Pgp) substrates, and the model allows differentiation between low-permeability compounds and compounds that are Pgp substrates. p>The Metabolism and Transport Database (Metrabase) is a cheminformatics and bioinformatics resource that contains curated data related to human small molecule metabolism and transport, Journal of Cheminformatics 2015, 7:31 DOI. Currently it includes interaction data on 20 transporters, 3438 molecules and 11649 interaction records manually abstracted from 1211 literature references and supplemented with data from other resources as shown in the image below taken from the original publication. I’ve updated the page on Aldehyde Oxidase, an enzyme in metabolism of a wide variety of nitrogen heterocycles. 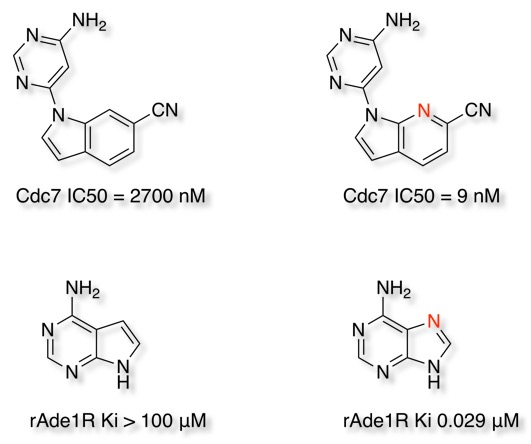 I’ve also included A recent publication DOI that suggests a simple test for the early identification of heteroaromatic drug candidates that have a high probability of metabolism by AO. 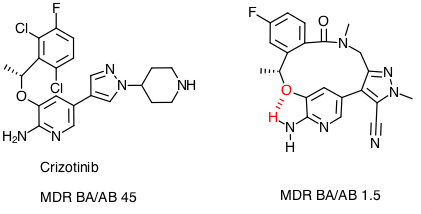 Bis(((difluoromethyl)sulfinyl)oxy)zinc (DFMS) was used as a source of the CF2H racial, simple LCMS was then used to identify a characteristic M+50 peak. It is also possible to scale up and isolate these metabolically blocked compounds and retest them for improved qualities. Whilst much computational work is undertaken to support, library design, virtual screening, hit selection and affinity optimisation the reality is that the most challenging issues to resolve in drug discovery often revolve around absorption, distribution, metabolism and excretion (ADME). Whilst we can measure the levels of parent drug in various medium tracking metabolic fate can often be a considerably more difficult proposition requiring significant resources. For this reason prediction of sites of metabolism has become the subject of current interest. FAME DOI is a collection of random forest models trained on a comprehensive and highly diverse data set of 20,000 small molecules annotated with their experimentally determined sites of metabolism taken from multiple species (rat, dog and human). In addition dedicated models are available to predict sites of metabolism of phase I and II processes. FAME offers a high performance prediction of sites of metabolism mediated by a wide variety of mechanisms. I’ve just updated the section on distribution and plasma protein binding in the Drug Discovery Resources. I’ve just updated the list of suggested books. Included books on bioisosteres and fragment-based screening. 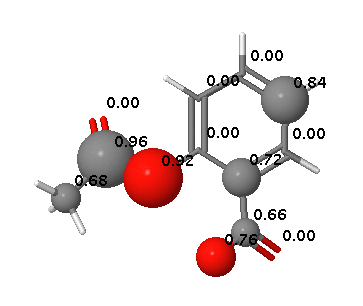 The new SMARTCyp version 2.4 includes solvent accessible surface area (SASA) in the scoring function. SASA is computed using the 2DSASA algorithm from 2D coordinates. I’ve updated the Drug Discovery Resources Pages over the Christmas Break. In particular I’ve updated the Fragment Based Screening section and added a page on building a fragment collection. I’ve also updated the section on CYP interactions, expanding the Induction section. I’ve just finished updating the CYP450 interactions of the Drug Discovery Resources, in particular I expanded the section on CYP450 enzyme induction. I’ve updated the page on Aldehyde Oxidase (AOX1), an enzyme involved in the metabolism of many nitrogen containing heterocycles. I’ve added a section on Aldehyde Oxidase (AOX1), an enzyme involved in the metabolism of many nitrogen containing heterocycles. Cyprotex ADME Guide: An excellent guide to understanding and interpreting ADME assays and results, available on request from the Cyprotex home page.